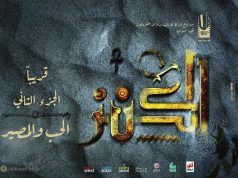 Fans of Asser Yassin will be able to enjoy a double dose this Ramadan, as he steps back into a fantasy past to star in not one, but two new costume dramas: El Ahd and 1,001 Nights. Both promise an all-star cast and the kind of high production-value audiences are increasingly coming to expect from TV series. Meanwhile, you can still catch him on the big screen playing alongside Mona Zaki on a yacht in the Red Sea in the psychological thriller Asrar el Qamar. Cairo West Magazine caught up with the star to find out more about what makes Yassin one of today’s most sought-after stars. The camera loves Asser Yassin. In person he is affable, cultured and intelligent, but on screen something else shines through: a strong visual appeal laced with movie-star magnetism. For an actor who by his own admission has never taken a formal acting lesson in his life, his rise to fame has been surprisingly consistent, and his interesting choices of roles over his career have brought him both public and art-house acclaim, something not all actors have achieved. Yet the fact is he never set out to act at all. 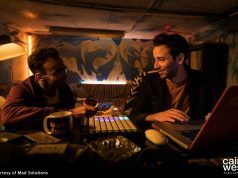 Spotted by director Khairy Bishara in a short experimental film directed by his son, Yassin auditioned for his first role in the series Qalb Habiba, and effectively began learning ‘on the job’ – proof indeed that it is possible to do so if you have enough natural talent. But interestingly, his engineer’s methodical mind has also come into play. CWM: You have taken on some challenging roles. How do you choose them? AY: I’ve interlinked my previous studies in mechanical engineering to the way I choose roles, using the ‘digital logic’ method of material selection; a simple formula laid out on a spread sheet. I put down all the factors of interest, such as location, salary, who the director is, and so on, and give them a weighted score. Also I pick projects according to three categories: good direction, a good screenplay and a high production-value. Basically, I only need two out of the three to take it on. Sometimes you have to go even further to make a production happen. In Rags and Tatters for example there was no producer, so myself, the director (who also wrote the film) and the line producer produced it together. 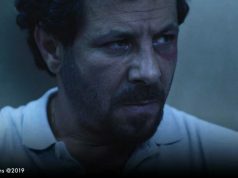 It was a project that meant a lot to us; a film about truth, telling the story of a prisoner released during the turmoil of the January 25th Revolution, about what was and was not achieved, seen through the eyes of those living under the poorest conditions. We all spoke out and called for equality, but forget slogans, protests and revolution; conditions for those people have not improved one bit, even now. What is your method for immersing yourself in the character? I have lots of different methods and I am always trying out new ones. One way is through the clothes and accessories the character wears. When we filmed Asrar el Qamar there were many interruptions and the whole thing took several years! That was hard, but when I needed to get back to that persona the key was putting the clothes back on. For me acting is an on-going learning experience, acquiring new skills all the time. Working in El Ahd feels different for me, especially since I’ve only just come back after taking a two year break. During this time I wasn’t offered anything that attracted me; there was a malaise in the industry during Morsi’s time, and it’s only beginning to pick up now. Shooting a TV series is also different from a movie. Acting is about your intuition and impulsive reaction, and in cinema you have more time to explore this, shooting each line several times. What I like about TV is that you have to develop your character fully in advance of filming. You have to learn lots of lines and come on set with your character completely prepared; it’s good practice. Which role resonates the most with you and why? Each has had its own challenges, and in a way each has led on to the next one. I have no favorites. I’ve enjoyed each one, and once it’s finished I let go and move on. But some roles were fulfilling a dream, such as landing the lead in Messages from Under the Sea, for Dawood Abu Sayed, one of the best directors ever. My character had a stutter and was alienated inside his shell. I won Best Actor for it at the Carthage Film Festival in 2010. What can audiences expect from El Ahd? The secret to a successful drama series is that all the different elements must be well-placed; every aspect, from the direction to the editing, cinematography, music, costumes and so on. This series is quite innovative in that it’s historical but not set in a specific time in history, and it’s in modern dialect, so it’s very accessible. It has a cast of stars, plus the individuals that go to create the whole are outstanding, such as great cinematographer Ahmed Youssef. It just feels like it’s the right combination of talent. Tell us about the video clip Misr Orieba? How did you come to take part, and what was the concept? I was approached four months ago along with more than twenty-five other celebrities to take part in a campaign to encourage Arab tourists to come back to Egypt. All the characters in the clip are played by famous actors, singers or personalities, and most of us did it for free. The idea was to regain the image of Egypt as a country of friendly people ready to welcome foreigners. I’m the guy at the airport who stamps the passport, and I smile (though I’m not sure how realistic that is!). Some of the celebrities are from other Arab countries, such as Balqis from Yemen and Fayez Al Said from the UAE. It’s a great message, and not only for tourists. Egyptians also need reminding to welcome foreigners back with warmth. I think it’s already having an impact. Just the other day I was on the 6th of October Bridge and I saw a girl selling flowers dressed just like Ghada Adel in the clip. It seems that the spirit of it has caught the public imagination. What are your thoughts on the current potential of the Egyptian film industry? I think that things are looking a lot brighter than they have been for some time. Increased stability means people are going out more, and they are hungry for entertainment. However, cinema is facing stiff competition from television, and many top actors are now being drawn into TV roles who might not have considered it before. High advertising revenues translate to more money for the actors, and this is a world-wide trend, not only in Egypt. Production values are much better now in television as well as movies, due to increased competition from competing cable networks, and also the fact that people are now exposed to so much on the Internet that they can tell what is good quality and what isn’t. Of course a similar improvement in the public’s artistic sensibilities requires better education, and more input from the Ministry of Culture. But that’s another story. Are you keen to break into the international film market? Yes, of course I would like that, but I’m a firm believer in everything at its right time. There’s no way to pursue that goal other than to do my job as well as I can. Of course opting to do films that might be picked for international film festivals also helps! Do you have any advice for aspiring young actors? Yes. Always take the hard way. Short cuts never pay off in the end. About casting: sometimes it’s about the look, but it’s always about the passion you put in. Be ready to study, explore, read, travel – do whatever it takes. It’s a boxing movie called Min Dahr el Ragol (Like Father, Like Son), directed by Karim Sobki. My co-stars are Mahmoud Hemeida and Yasmeen Raees. It’s basically about a boy from a humble family who uses his boxing skills but falls onto the wrong side of the tracks. I’ve been spending the past year working out and learning to box. I’ve always been athletic and I was in the national team for Tai Kwando, but boxing is new for me. Do you have a favorite song on repeat? Not really. I love all good music, so there are lots of things! Tabla Luna. It’s a Peruvian fusion restaurant in Maadi. Look up to your father and strive to be at least as good as he is in all ways.